At long last I’ve finished my third novel, The Pilot Class. Creating characters and encouraging them to say and do the things that make a story plausible can be a frustrating experience. They don’t always act like the reader wants them to. Everybody loves the hero that exacts revenge, retribution, and justice, but it’s important to hate the bad guy who caused the problems to start with. Since it’s not in my nature to cause unnecessary problems, it becomes difficult to create the antagonist. Once I learn to hate him too it becomes easier. The Pilot Class follows a group of young pilots as they experience the initial training class for a major airline. The group includes former military pilots as well as civilians, one of which is a former female flight attendant. 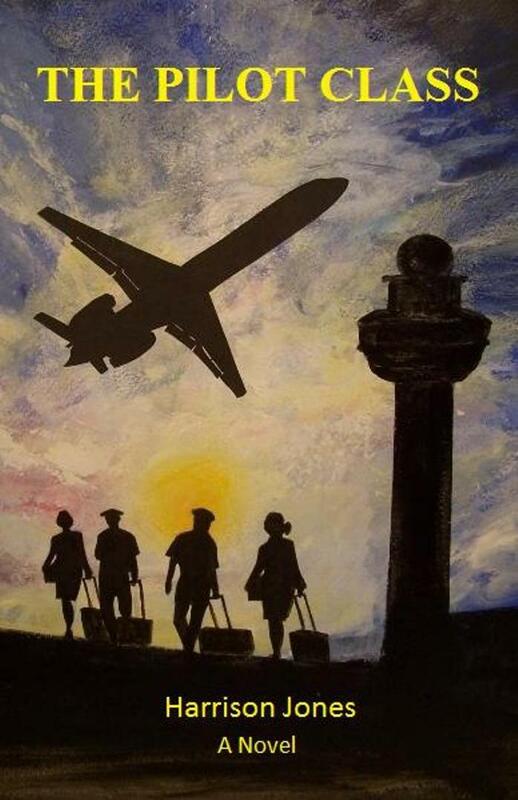 As pilots they all have confidence and ego, but it soon becomes apparent that they will have to cooperate to graduate. Personalities, a married flight attendant with an abusive husband, a major airline accident, and the federal government are all obstacles that stand in their way. Who will survive The Pilot Class to fly the line? When I sat in my own pilot class years ago, I was fortunate to have great classmates who remain great friends. Turn off the TV, recline your lounge chair and enjoy a pilot class of your own. The book is available on Amazon Kindle and will be published in paperback soon. 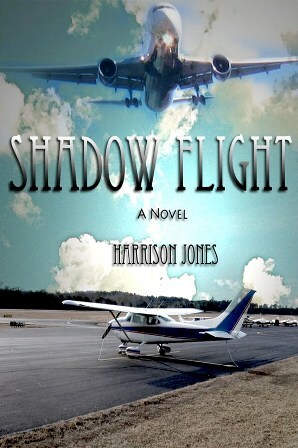 I’m a first time reader of Harrison Jones and I’ve now completed two of his novels. I just wanted to tell him I think he has a great talent and especially in his ability to evoke emotions with his writing. Well done! Thank you so much for the kind words and for taking the time to comment. I have read all three of your novels and look forward to the fourth! What I especially enjoy is how characters and events are tied together from the first to last novels. I highly recommend folks start with Equal time Point and finish with Pilot Class to see the continuity which makes the read a delight. Thank you so much for the kind words and for reading the books. I do enjoy my characters and sometimes it’s hard to let them go at the end of the book. Bringing them back in a subsequent novel helps develop the next plot and creates continuity for my writing. It’s always great to hear from a reader and I appreciate your taking the time to comment. Thank you for the comment, Leslie. So happy you enjoyed the books. I am currently working to publish the books in an audible edition. I am fortunate to have Thomas Block as the narrator. Thomas is also a retired airline captain and author of several best selling aviation novels. 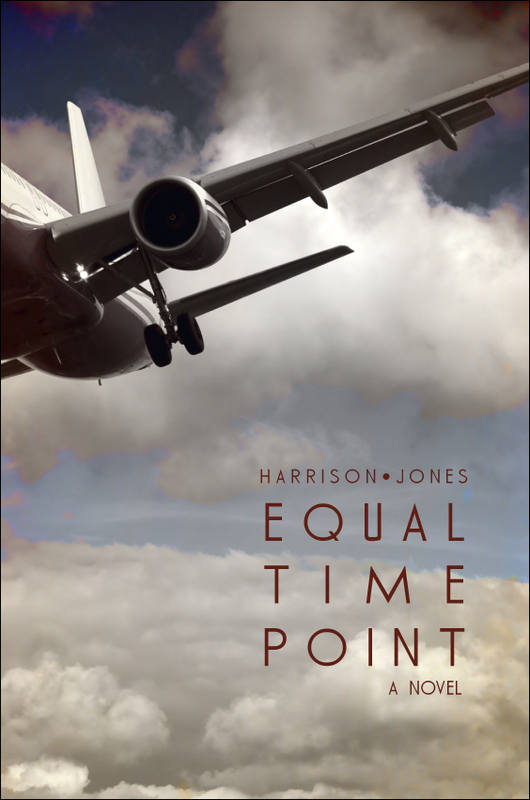 I’ll be posting the announcement today about the release of the audible version of Equal Time Point. Meanwhile, I will be working on a fourth novel. The photo of the MD-11 is one of my favorites too. The MD-11 is an upgraded version of the DC-10-30. The only external clues are the center landing gear and the winglets at the wingtips. Thank you once again for the nice comment. I wasn’t sure when the 10 was upgraded. I did 2 flights on one- lovely and comfortable – think the interior designers still thought of economy passengers in in those days! I have read all of Captain Block’s books as well! I really enjoy those which have been written by pilots. In a sense I can “relax” and go with the story as I know you are writing about that which you have done! I’m only what I guess could be considered a rather late starter but have managed to build up 35 hours after finding an English speaking instructor here in SW France outside Toulouse. I do love it. Thanks for your writing and please keep going – I’m invested in the characters now! Leslie, 35 hours can be considered quite an accomplishment when you realize that by the time Orville and Wilbur reached that milestone, they had crashed several times and were the most famous pilots in the world. You are off to a much more successful start. Enjoy and fly safe. Harrison, I attempted to send you an email after reading your book where I found out what happened to me during the crash on Buffalo Pass. I spent 3 weeks in the Steamboat hospital and do not remember a day except for the day when a local friend came in and took me to the local airport and rode on to Denver to make certain that I would get on the airport to my home. Unfortunately I did not remember where my home was located but the hospital personnel recognized this and somehow made arrangements for a friend at my employment to meet me at the airport and I managed to get to my home. Since that time I have had several medical problems which included my leg that was trapped during the crash and for which I recently had some surgery on the knee. The problem is still continuing but at least I am alive after the flash of light I noticed just before the crash. Thank you for commenting and making contact, Bob. I’m so happy to hear from you. The accident was such a tragic event, but I’ve come to admire and respect everyone involved and I hope writing the book has been beneficial to others who face adversity and realize that with courage and determination anything is possible. I’m so sorry to hear of your injuries, but also grateful for your survival. I will email you directly today with additional news and more contact information. Thank you once again. Think you might be Ernest Gann reincarnated. Thanks !!!! Thank you so much, Gerald. There could be no higher compliment. Reading Ernie Gann inspired me to become a pilot. He was by far the best.